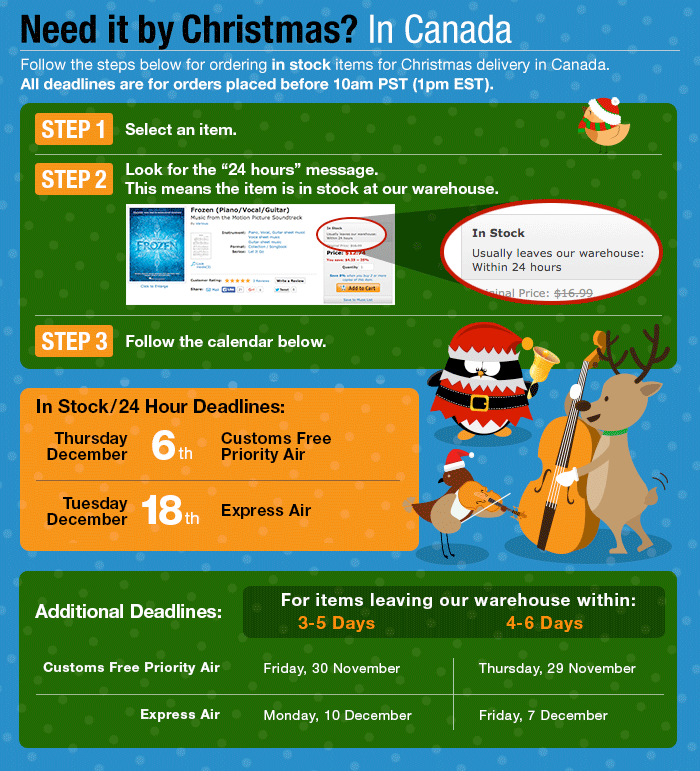 Please note: Customs Free Priority Air for in-stock items as well as any items with longer lead times cannot be guaranteed for Christmas delivery due to the high volume of holiday mail. However, in the vast majority of cases, orders placed by the respective deadlines will arrive on-time. If you want to be assured of Christmas delivery, please consider in stock items and/or selecting Express Delivery. When you choose Express Delivery for in stock items, and place your order according to the deadlines above, we guarantee that delivery of your order will be attempted on or before December 24th. If a delivery or delivery attempt is not made on or before the 24th, please contact us so we can refund your shipping charges.